If you’re a developer and/ or marketing agency, you can become a reseller and offer our service to your clients as a product of your own at a 20% discount. 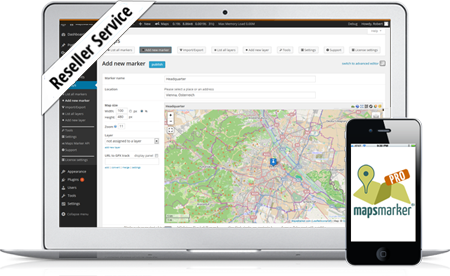 As a Maps Marker Pro reseller, you have full control over your customer’s orders, the pricing and the billing process. We will deliver the product, everything else is managed by you. You can whitelabel the plugin: You have the option to remove all backlinks and logos in the backend and rename the menu entry from “Maps Marker Pro” to “Maps”, as well as making the pages and menu entries for Tools, Settings, Support and License visible to admin users only. 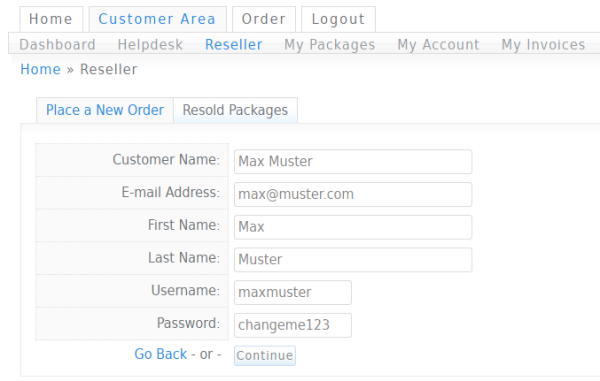 Each reseller can place orders on the customer’s behalf with a 20% discount on all available packages. You’re free to charge your clients any price you want, by any means of payment. All of your billing happens directly between you and your clients and is not managed by us. You can charge a setup fee, recurring subscription and management fees, or any combination of these. 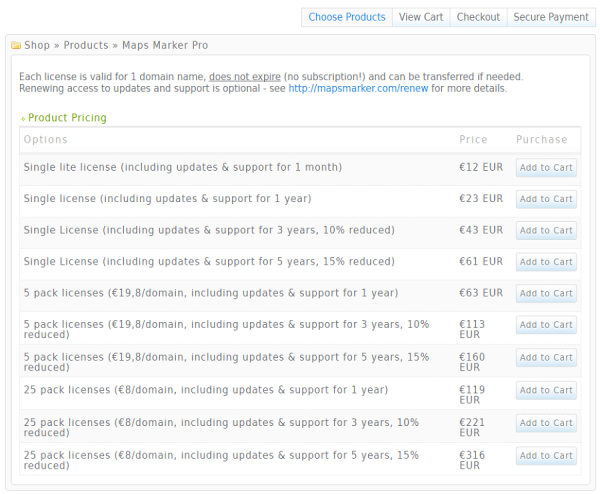 To become a reseller, you already must have a valid Maps Marker Pro license and a user account for our customer area. Please fill out the form below and provide us with some information about your business. Leave your contact details too, so that we can get in touch and answer any questions you might have. Please note that the prices shown on this page already include your 20% discount for resellers. In the next step you are connected to our payment gateway. Please select your preferred payment method and finish the process. Once an order has been completed, the package and asset will be assigned to your customer. The order and invoice will remain with you, the reseller. This will remove all backlinks and logos in the backend, rename the menu entry “Maps Marker Pro” to “Maps”, as well as making the pages and menu entries for Tools, Settings, Support and License visible to admin users only. 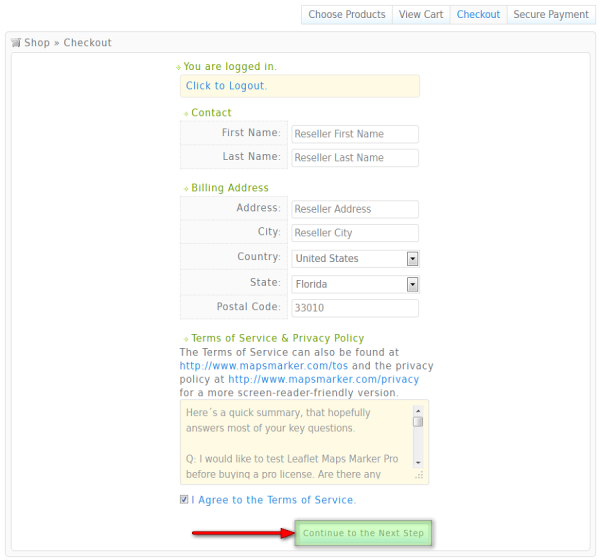 Please also see the section “Resellers” in our Terms of Services for more more details. If you have any further questions, please contact us!